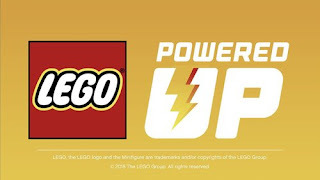 Recently a Lego Group Representative answered a Q&A regarding Lego Powered Up and confirmed that the current Power Functions line of products would be phased out. I believe that there is a few areas of concern on how this will affect Lego GBC builders moving forward. For those of you who are not familiar, Lego Powered Up is the new wireless controlled motor system for Lego moving forward into 2019 and beyond. All of the new motors and sensors connect to a battery powered hub, which can be controlled with either a Lego brand bluetooth remote, or your bluetooth enabled tablet or smartphone. I will take a few of the Questions and Answers that directly relate to GBC builders below and add my own thoughts and possible solutions. I will refer to Lego as TLG (The Lego Group) and Powered UP as PUP. Community: Has Powered Up been designed in mind in any way to be more easily utilized by many other themes than before with Power Functions? TLG: The Powered UP platform is being designed to replace the Power Functions platform. It is offering a more intelligent wired connection with broader usability, a wireless BLE connection with better possibilities than IR and link to mobile smart devices opening a new range of App connected possibilities. My take: In Yoda's voice "More intelligent, it is not." There is no longer a simple way to connect a battery pack to a motor, flip a switch and have it run. You literally need a wireless controller or a tablet/phone to start a motor with these new systems. 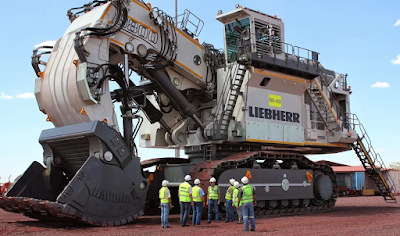 As well these new systems rely on battery power which is expensive and bad for the environment. Community: Is there any kind of backward compatibility with Power Functions? TLG: The plugs in Power Functions and Powered UP are not compatible. Community Followup: I really hope the PU Team is still considering at least some compatibility, as the PF extension wires, which double as adapters for 9V, are immensely useful. TLG: The 2 power control wires of the 9V system, Power Functions and Powered UP have the same function across the 3 platforms (9V, PF, PUP). TLG: You can make anything happen with a little customization I guess, but we're not going to provide actual products which allows compatibility. 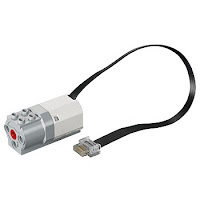 My take: It would be dead simple for Lego to manufacture a Power functions cable that can interface with a Powered Up motor, because they have confirmed they use the same power control wires as the current PF and 9V motors. I'm unsure why TLG has said they would not be doing this. Community: Is it possible to upgrade older sets with powered up or is a lot of rework to be done? TLG: This will very much depend on the product in question. For trains it should be very easy since the Powered UP hub has the same shape as the Power Functions battery box and the train motors are also same shape. My Take: The current boost external motor is a little bit larger then the current PF M-Motor, so it's not a direct swap if it cannot fit. Having said that, the WeDo/PUP M-Motor does look similar in size to the current PF M-Motor and should swap in fairly easily. Community: Will the Power Function 1.0 line be discontinued and if so, when? / Are any product lines, such as PF, being phased out and if so, which ones? TLG: Over time the Power Functions platform will be phased out as the Powered UP platform is further developed. Community: Will we have warning to stock up on specific components? Or will they simply disappear suddenly? TLG: The Power Functions platform will not disappear from one day to the other and components will be available through shop@home in an overlapping period. My Take: As soon as the PUP parts show up on Lego Shop@Home stockpile some motors on a Double VIP Points day... It looks like PF is on the way out and unlike the 9v Speed controllers (which last forever according to Tom Atkinson) motors tend to have a limited lifespan.